The group is promoted by dynamic and enterprising team of Mr. Ashwini Kumar Srivastava - Chairman and Managing Director (Lucknow), Kamlesh Tiwari Director (sales & marketing), Dr. Bindhyesh Tiwari Head (Admin). They joined hands some time back to make Dreamz group a dominant force among other Real estate Developers in Uttar Pradesh, along with presence in Education, Sales & Marketing and Advertising sectors. The Dreamz group is a buoyant conglomeration of companies endowed with impeccable foresight, enviable expertise and innate acumen for providing cost effective and tangible solutions to the Real Estate and Construction World. Trusted for delivering maximum value for money and known for the best quality services. 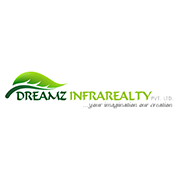 Since its inception, Dreamz group thrived to transform innumerable dreams into reality. Its vision has inspired the group to create residential edifices for all cross-sections of the society. With its onward march towards excellence, the group intends to induce innovative changes in the lives of people at basic level and create lifestyle avenues for the people at higher level. The group aims to reach the Zenith of success in the Real Estate Industry.